Avendus Capital advises ShopClues.com on its $100 million fund raise led by Tiger Global. Clues Network Inc. (ShopClues.com) has raised $100 million in Series D round led by Tiger Global, one of the largest global institutional investors along with participation from existing investors Nexus Venture Partners and Helion Venture Partners. ShopClues.com will use the funds to bring over 10 million sellers and 1 billion products to the online domain over the next 3 years. Through this partnership, Tiger Global aims to further invest in the digital infrastructure of India and build synergies with its network of Internet companies globally. Avendus is the leading advisor in the Digital & Technology sector and has advised on 30+ Digital Media & Technology deals in the past 5 years. Last year the firm has concluded 28 deals and was amongst the top two financial advisors by overall number of deals in India (as per Mergermarket for CY 2014). Tiger Global is a fundamentally-oriented, global investment firm. The Firm deploys capital in two businesses - private equity partnerships and public equity funds. Tiger Global’s private equity partnerships have ten-year horizons and invest in growth companies in the global Internet and technology sectors. The Firm’s public equity funds focus on long-term trends in the technology, telecom, media, retail and consumer sectors. Tiger Global was founded in 2001 and is based in New York. 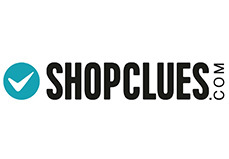 Founded in July 2011 in Silicon Valley, ShopClues.com is India's first and the largest managed marketplace that connects buyers and sellers online and offers a trusted and safe online shopping experience. With our customer centric approach we provide the best online shopping experience to our customers - starting from the great selection, low price, ease of use, fast delivery, and ending with the best customer service you have ever experienced. ShopClues ships in over 25k cities across India and has thousands of online stores. ShopClues is funded by leading institutional investors, is an Indian subsidiary of Clues Network Inc., a US Corporation and is based out of Gurgaon. Avendus Capital, Inc (US) and Avendus Capital (UK) Pvt. Ltd. located in New York and London respectively are wholly owned subsidiaries offering M&A and Private Equity syndication services to clients in the respective regions. Avendus Capital, Inc. (US) also providers wealth management services to clients in select jurisdictions in USA.